University of Windsor. 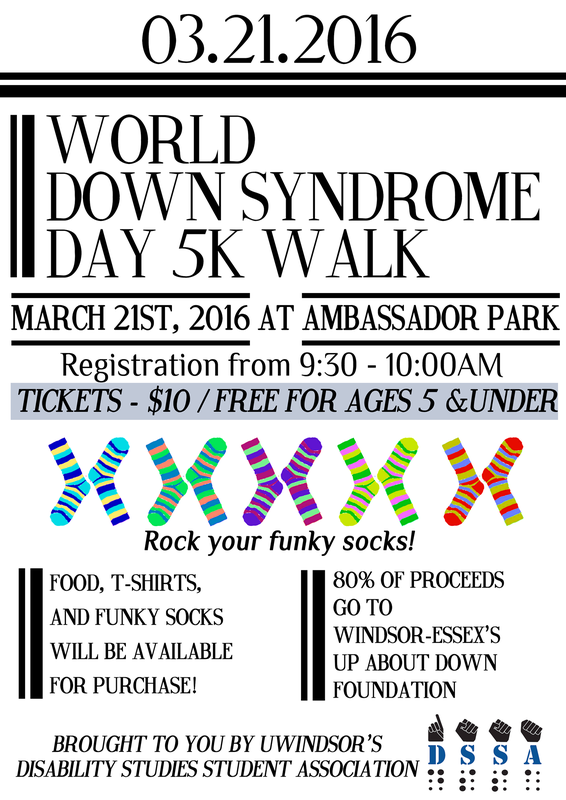 We are planning on celebrating World Down Syndrome Day 2016 in a similar fashion as last year with a walkathon! 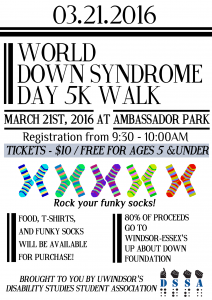 We are planning on hosting this walk to raise funds for Up About Down – Windsor Essex! We the DSSA are passionate about leaving a positive impact on our community and supporting other organizations that do the same! Time: Registration 9:30am; Walk starts at 10am! We would love if the friends and families of Up About Down would be interested in joining us at this event!